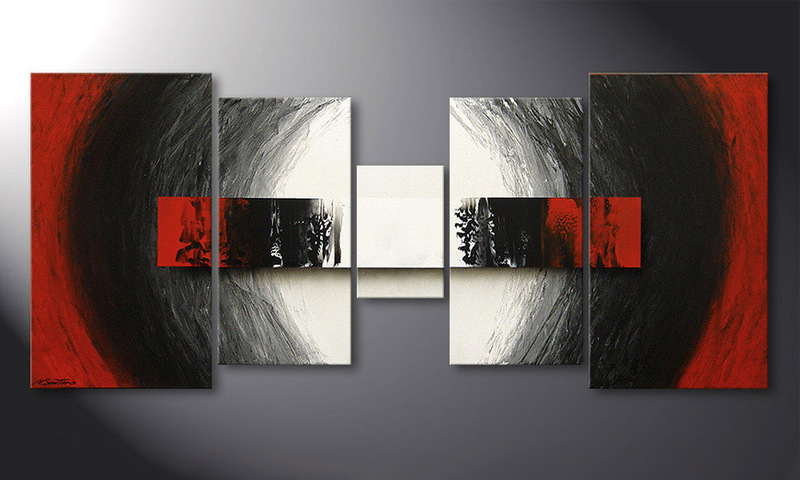 This wall picture Painting "End of Extremes" 160x70cm is a hand painted, not an art print. It consists of 5 panels with a width of 160 cm (without spaces). Red is one of the main colours of this picture. Picture just as described, looked well in the office. Arrived quickly and packaged well. Highly recommend. Super Abwicklung! Schnell und perfekt verpackt!